Using a Voice to gain Vision. Over the weekend, I watched Sydney Crosby talk to Peter Mansbridge about his brain injury process. He was talking about the help that he has received from a chiropractor. I was intrigued that he was getting help. Any kind of help is good help when it comes to the complicated organ....the brain. I just feel very alone when it comes to my vision loss. MOST doctors told me that I wouldn't gain my vision back, but that's a tough pill to swallow. One doctor told me that I can always have hope. Another doctor told me that there are always new pathways that could form. You just never know what the future holds. So, I bought a book in which I listened to. It is supposed to be a miracle. So, I listened to it and tried the steps. I have to keep trying. Be more diligent with it. I'd like the miracle of gaining vision back too, so if it works I'll take it! 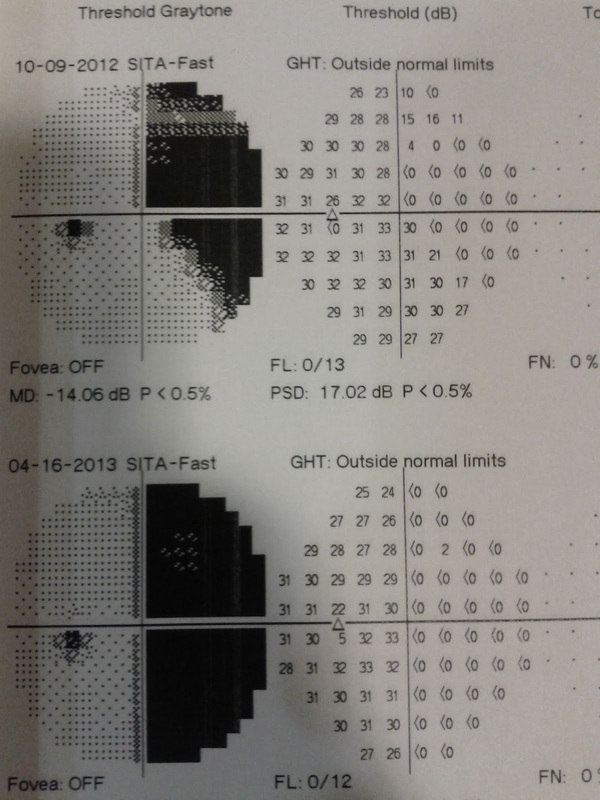 Here are the results of my visual field tests. I watched my vision disappear, and saw it in black and white on these images. Stereotactic radiosurgery/Gamma knife = strange. October 1st, 2012. My radiation day to kick off breast cancer awareness month! The hardest day of my life, yet I was so relaxed laying there. I'm back with a mission! It makes me so happy to start this blog, because for once, it's not about cancer. I mean, it all stems from cancer, but it is about the journey which has taken me off course. I admit, I did have blogs about cancer, but deleted them. I don't want to do the same. I felt like it was a mistake to do that, cuz hey, it was my story up until this point. For some reason, this point has become my HUGE change in my life. Not the stage IV breast cancer, well it wasn't a walk in the park. It was hard. I was diagnosed almost 2 years ago with breast cancer. My kids were 7 months old and 2 years old at the time. Now, I'm happy to say that they are 2 and 4. Last year I was diagnosed as a dreadful stage IV cancer "survivor". I just live with it. The reason for this blog, however, is a quest of sorts. Since the disease decided to enter the blood brain barrier /BBB, a tumour decided to settle right in my optic tract. On the nerve? I don't know? Beside the nerve? I don't know? I don't know too much about what is going on in my skull. This is why I'm here, writing to you. 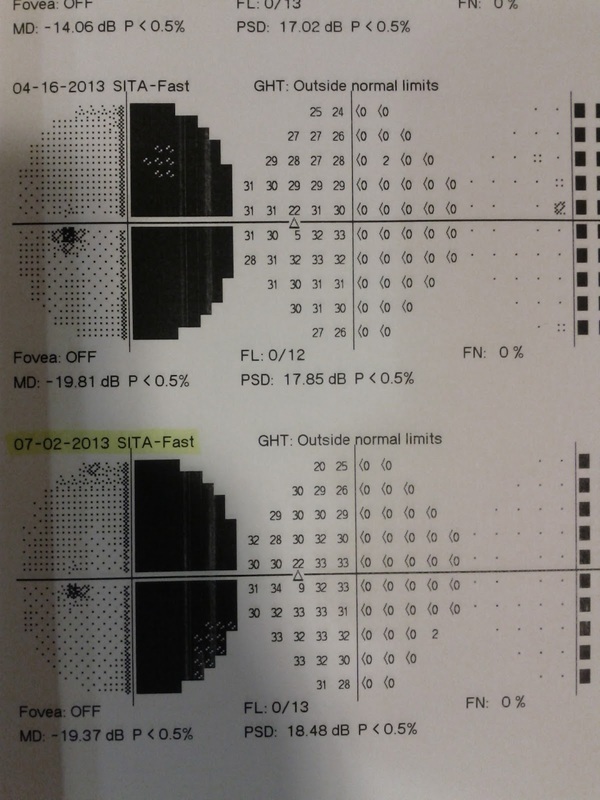 Unfortunately, I've searched and searched the net and have found very little about vision loss and help. I understand that the brain is supposed to be as complicated as the solar system, but still......I need help. This is my calling. I'm reaching out. I need help! There is my story in a nutshell. I have lost half of my vision. It's difficult, yes, but I'm still alive!